We have announced this before, but it is true again: the NewRetirement Planner is now better than ever. We are VERY excited to announce the availability of 7 big powerful new features — some part of the PlannerPlus launch — a new premium subscription service. Part of the existing planning calculator, PlannerPlus is a brand new premium subscription service. 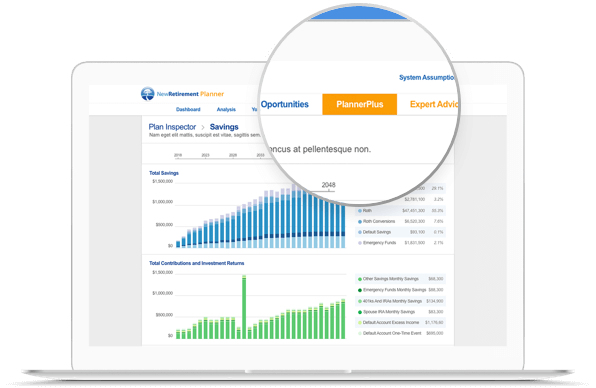 PlannerPlus offers you advanced tools that let you really get into the details of your plan. The service aims to become a completely personalized virtual financial advisor. For the initial launch of PlannerPlus, we are releasing two features: 1) PlannerPlus Inspector and 2) PlannerPlus Coach (get all the details below). Many more tools will be coming soon to PlannerPlus, and you can be part of the Introductory Offer to get access to them at a discounted price as they become available. PlannerPlus Coach is an extremely powerful engine that assesses the details of your plan and identifies potential critical problems and great opportunities. Is any of your information out of sync with anything else in your plan? Is everything being funded the way you think it should be? Are there easy ways to tweak what you are doing for a wealthier or more secure future? Is it time to update information? The average user currently has between 15-20 alerts from Coach. And, we will be adding even more intelligence so your plan is as secure as possible. What have you wanted most of all? We listened and you asked for greater insight and visibility into our model and access to the details of your own numbers. Plus, we offer a fun sixth chart — future values. This analysis let’s you see which activities, resources and liabilities are most valuable or costly to you over your lifetime. It can be surprising and informative to look at your information this way. We’ve redesigned the NewRetirement dashboard. We think it looks great and has so much more functionality. 5. New Chart — Find Out What is Happening with Your Savings Over Time! 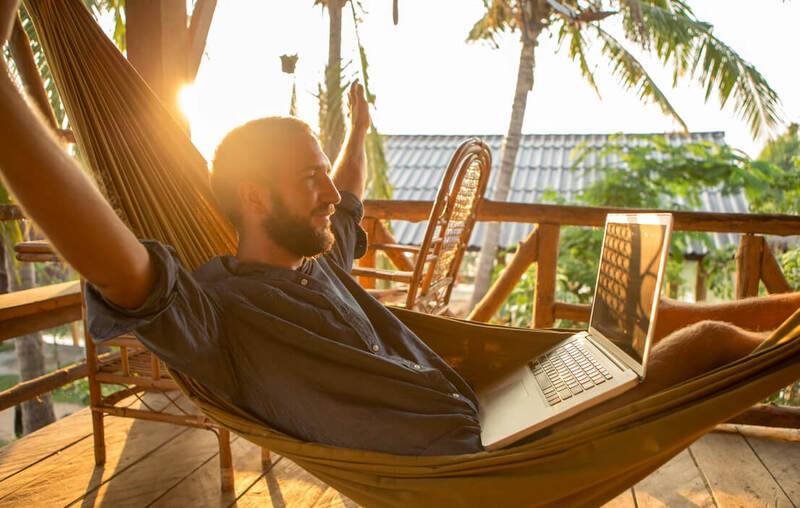 On your NewRetirement dashboard, you will now be able to see a detailed and sophisticated view of your savings over time for both pessimistic and optimistic assumptions. See how much you are projected to have for each year and get a full view of your savings at the age when you will be finished with retirement. Have you accumulated debt? Or, will you be solvent and have savings left over? Plus, the dashboard now has an easy snapshot of your current finances — helpful to make sure that your information is always accurate and up to date. 6. What’s Your Retirement Plan Score? We all want to know how confident to feel about our prospects for a secure financial future. The NewRetirement plan score is one measure of how well you are doing. The score gives you an idea of how close you are to a solid financial plan — assessing both your retirement planning activities as well as your finances. Log in now to see your current score. Your Plan is the heart and soul of our site — its all of your information, tips, articles and more. It’s the information that will make or break your retirement finances. Many additional tools are coming soon to PlannerPlus. Advanced Forecasting: Monte Carlo and historical modeling to enable better forecasting of your own investments. Withdrawals Planner: Discover how to manage drawdowns for maximum wealth. Tax Insight: Get more sophisticated with planning future tax liabilities and identify opportunities to minimize what you pay. Printable Reports: Print out reports that are easy to review and share with family. Budgeter: Build and maintain a detailed best case and worst case budget. Special PlannerPlus Introductory Offer: A Huge Discount Now and A Really Big Discount Forever! If you subscribe now, you can get a huge discount off the full $250/year price. We are offering a limited time introductory offer of only $48 for the first full year and a 50% lifetime discount for year two and ever after. This is a huge opportunity and will only be available until we release some of the additional tools in the coming months. Our mission is to make high quality retirement planning available to everyone. In addition to being comprehensive, detailed and highly personalized, we also aspire to be independent from any bank or other financial interest so that our interests align with yours. However, we can’t do everything for free. As such, we think that the best way to give you tools and services that you can really trust is to charge you. We look forward to hearing your feedback on these new offerings.